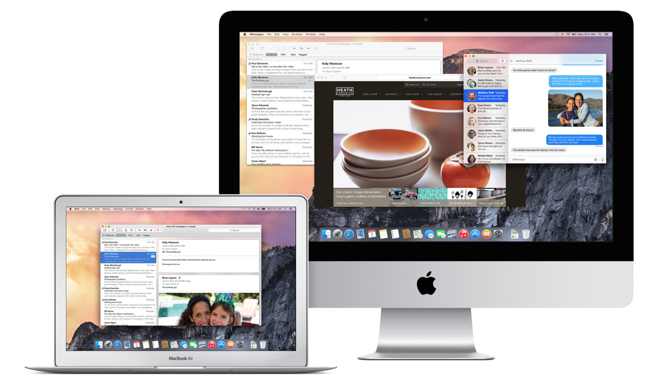 The first public beta of Apple's forthcoming OS X 10.10 software update, known as Yosemite, will become available to download on Thursday, July 24 for testing ahead of its scheduled release this fall. Users can sign up for the OS X Beta Program at its official website, and will be able to install, test and provide feedback once it launches on Thursday. The Yosemite public beta launch was first announced on Wednesday by Jim Dalrymple of The Loop. Users can sign up with their Apple ID, and will use a redemption code to download and install the OS X Yosemite Beta from the Mac App Store. When users encounter an issue that may need to be addressed, they can report it directly to Apple with the built-in Feedback Assistant application. The upgrade requires a Mac running OS X Mavericks, which is available for free on the Mac App Store. Apple also recommends installing the OS X Yosemite Beta on a secondary Mac, since the software is still in pre-release testing and may contain issues. Apple also warns that some new features may not be available, including phone calls, SMS, Handoff, Instant Hotspot, and iCloud drive. Spotlight suggestions are currently U.S.-only, and some applications and services may not yet be compatible with Yosemite. Apple first announced its public Beta Seed Program in April, opening its OS X beta testing process to all Mac users willing to participate. This year, users were able to test pre-release maintenance and security updates to OS X 10.9 Mavericks, but tomorrow will mark the first time that OS X 10.10 Yosemite will be available to test officially to non-developers. To date, four pre-release betas of OS X Yosemite have been supplied to developers, with the most recent version arriving this Monday. OS X Yosemite Preview 4 includes a redesigned Calculator, and an update to the upcoming Dark Mode. Apple has focused on what it calls "continuity" between OS X and iOS with its next major updates, as users will be able to seamlessly hand off content from their iPhone or their iPad to their Mac when within range. In addition, users will be able to answer and place calls or respond to text messages through Bluetooth connectivity to an iPhone. For more on OS X Yosemite, see AppleInsider's series of first look videos on the upcoming Mac operating system update.